I am aware of how addictive of Korean dramas can get. The captivating actors and feel-good romantic scenes will keep you hooked on to it and it just makes you anticipates about what’s to happening next. Curiosity kills the cat. And I’ve been a victim since my secondary school days, but thankfully, work keeps me grounded to reality. 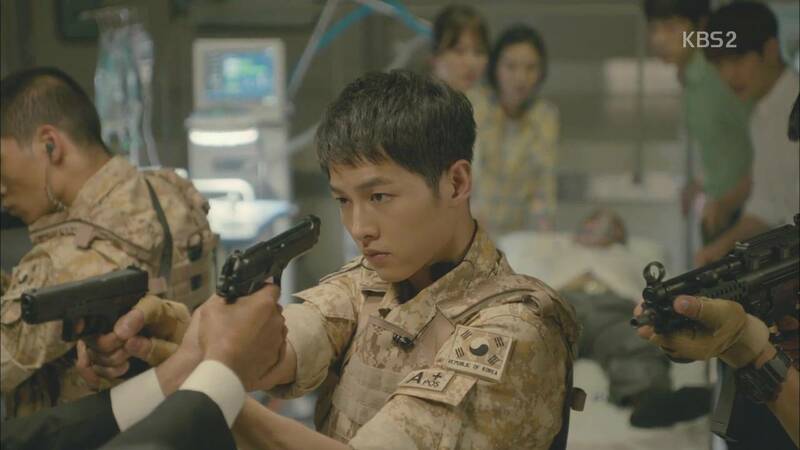 But recently, there’s this humongous K-drama wave over this drama titled, ‘Descendants of the Sun’. I actually first got to know it through my colleagues whom don’t seem like they are into Korean dramas and all. So I was taken aback when they mentioned about the recent K-dramas they are watching and how handsome those Korean actors look! As days went by, I started to discover that so many of my other colleagues (mostly females) are watching it too! They range from 20 to 45 years old from various ethic groups. It definitely seems like a real hit and I knew I had to watch it. It turned out to be a great drama serial and it has such a great blockbuster edge to it that I think it can be rolled out into a movie if they condensed everything together. And here’s 10 reasons why you should watch it too! You can watch it via online streaming from several K-drama websites without having to download them illegally. It is not available on YouTube yet the online streaming sites are fast and easy to navigate. And new episodes are uploaded a day after it is broadcast on Korean TV channel. That’s pretty fast, isn’t it? The air time in Korea is on every Wednesdays and Thursdays at 11pm. But the episode with English subtitles is usually up on the next day as it takes some time to make up the English translation of it. I usually watch it on Dramacool. This is what got me so intrigued about this drama that shed some light on the struggles faced by army troops, which are sent off to faraway countries for training. I also got to learn about what Special Forces usually do when they are called for on an important mission to protect the civilians. 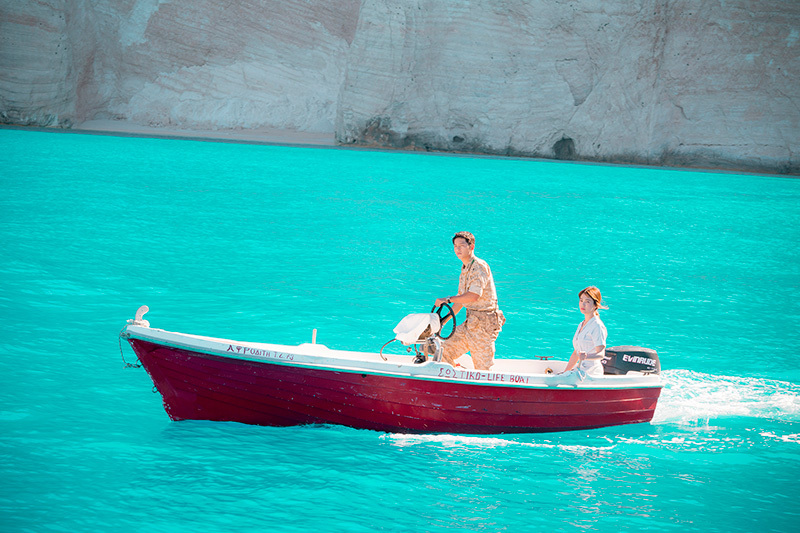 And the film was shot in Greece and the setting was just awesome. The drama is so well-filmed that sometimes you feel like you’re part of the drama as well, keeping you in suspense. What will happen to those civilians who are trapped in the rubble? You will also get to think the shoes of the special forces. Who to save first? Should we kill or risk our lives? 3) You will become more emphatic towards those who are suffering from disasters. Sometimes news doesn’t give the full coverage of what each victim of the war or disasters go through. And it is really hard for us to imagine sometimes. But after watching Descendants of the Sun, I finally understood the plight of those war survivors and those who are affected by a disaster. I am not too sure how accurate the drama depicts of the operations of the Special Forces but at least I know that they have a certain protocol to follow during emergencies and it is really a dangerous job where you could get killed anytime. It just made me appreciate our NS men in Singapore who are at the frontline, protecting our nation. Being a doctor is indeed not easy and it is one of the most noble jobs on earth. 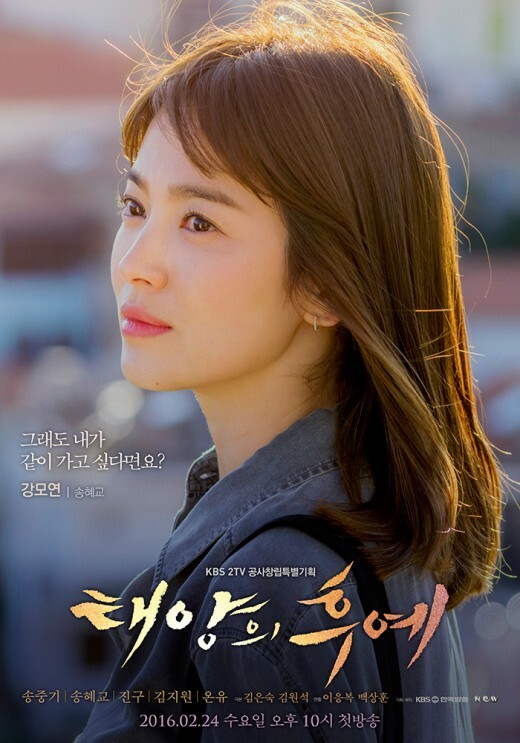 In this drama, Song Hye-Kyo who acted as Kang Mo Yeon, a kind and loving doctor who is willing to risk her lives to save others. Mo Yeon is a good doctor and likewise at times of dire situations, they also face challenges in making the right decisions which could affect the survival of their patients. They are dealing with a matter of life and death like and this is strikingly similar to the job nature of a soldier which involves people’s lives. The two different jobs assumed by the two main characters of the drama heightens the interest level of this drama. The drama cleverly illustrates how the job of the soldier complements with the job of the doctors and medical personnels. How they work side by side in times of emergency? 5) You get to see a whole bunch of HOTTIES in ONE drama! The director is certainly particular about the appearances by the actors and actresses chosen. Almost every character in the drama is good looking! The main characters Song Hye-Kyo and Soong Joong-Ki got everyone’s attention when they were starring in this drama. Soong Joong-Ki is notably a crush on every of his fan girls’ world. He is super charming and amazingly good-looking even though he has already entered his thirties. I thought he was only 22 at first! There really must be something special about the Korean beauty products he is using. Song Hye-Kyo, on the other hand, is an emblem of natural beauty. Even at the age of 34, she still looks youthful and gorgeous with little makeup in the drama. You also get to catch the glimpse of buff muscular Korean guys in the drama. Are you feeling the heat? 6) Love is in the air. Everybody gets warm and fuzzy with some romance. And it doesn’t hurt to have some romance in a drama. Though I find the love-at-first-sight scene was a little cliche in the first episode of the drama, there are several touching scenes that really save this show from being labelled as a ‘typical K-drama’. I like that all the scenes looked very realistic and I believe that the production costs are certainly not cheap. It is not filmed in an urban city setting, but on an exotic site where the views are just amazing. And the story plot is really one of a kind. I shall not say more to spoil your excitement over this show. 8) It makes you think about life and the current world affairs. It made me think about God and how fortunate we are to be living in a nation that is safe. But we mustn’t take for granted because we’ll just never know when fear might strike us. What is terrorism like? Will we one day go through similar circumstances like the characters in the drama? What would we do? Are we willing to die for our country? Will we be able to give our very best and make the right decision to help others? Can I be as selfless as those characters in the drama? There’s indeed a lot of questions for me to ponder after watching Episode 12. I’m off to catch Episode 13 right now and seriously, everyone should watch this meaningful drama. Whether you are a girl or guy, watch it. I’ve kindly included the link here to Episode 1 of Descendants of the Sun so that you can watch it right away!